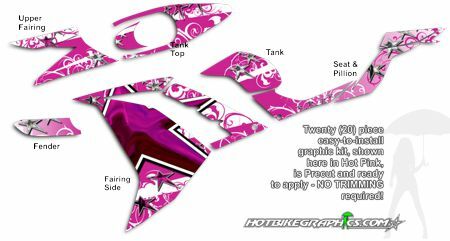 Set your bike apart from the rest of the pack with our amazing looking twenty (20) piece Starswept Graphics kit! 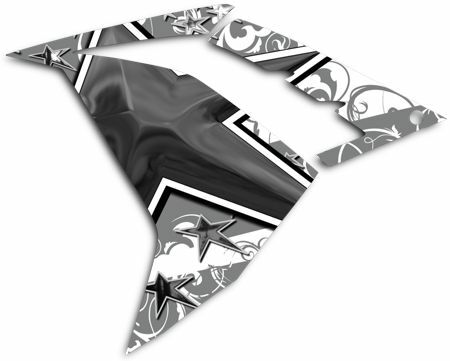 Highly detailed graphic features simulated Chrome Star elements with unique graphical highlights. Available in three (3) color selections, graphics look so good when applied you'd think they're factory! 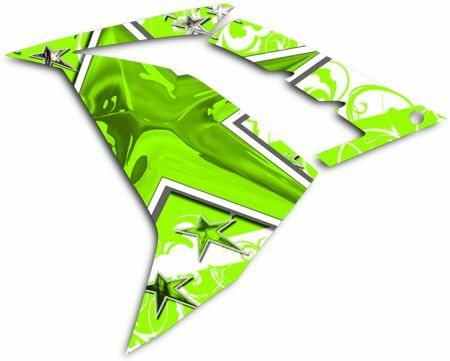 Created specifically for Kawasaki's '13-Current Ninja 300, this kit will deck your bike out no time. While graphic kit is bike specific and will not fit any other motorcycle, the Starswept design can be fitted to other bike models. Just ask.